Bootstrapping is an attractive way to launch and run a startup for many founders, primarily because it gives more freedom to the founders than getting investors to invest in the company. 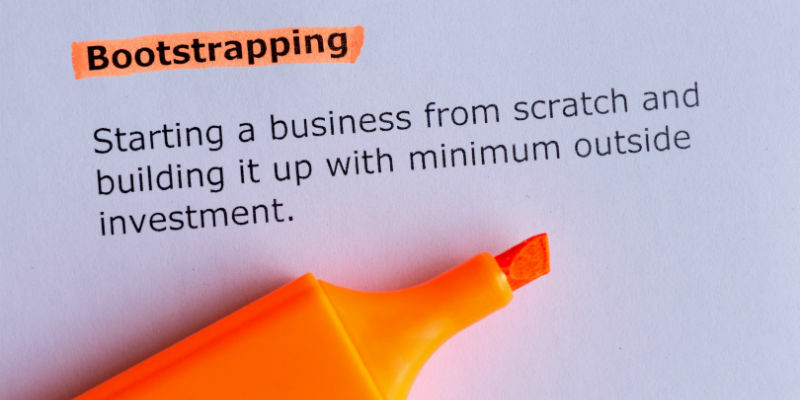 However, bootstrapping is also a very risky move, as doing so means you may not have lasting funds to cover operational costs. Too many promising startups have failed because the founders neglected to make informed decisions with their limited funds or utilize their available resources to their full potential. That is why we here at the Founder Institute created an exhaustive guide that shows you how to make the most of what you have for your bootstrapped startup. Once you’ve defined what your company does, what it offers, and the problem it solves, you must focus your attention on the branding and marketing of your company. During this part of your startup journey, you must establish your company as a leader in your industry by connecting with influencers and journalists, attracting an audience with your startups compelling story, and growing your influence within your market. Below are 10 simple tips to help expand your company’s reach and connect with your target audience. 1. When trying to secure press mentions with media channels, carefully analyze the publications you’re targeting and ensure that they are a right fit for your company. 2. Once you’ve determined which channel will publish your company's story, establish a strong relationship with a journalist who writes articles related to your industry. 3. Remember, media channels only publish stories that are newsworthy, so ensure that the story you pitch to publications would interest as wide an audience as possible. 4. Restrict your pitch emails to two short paragraphs or less when engaging with your media contacts to pique their interest without boring them. 5. Establish yourself as a well of industry knowledge and an expert in your field to increase your chances of attracting more attention from journalists. 6. When managing your startup’s social media account, stay active and be consistent with your posts. Also, make your posts fun and engage with your followers - no one likes social media posts that look like they were written by robots. 7. Refrain from posting only about you and your company, so make sure the bulk of your social media content is about industry-related articles that your audience is interested in, sprinkled with content about your company. 8. Research your industry to develop your startup’s unique selling propositions. Remember, all of your startup’s messaging should employ these USPs as their focal point. 9. Creative content can be found even if you’re on a budget. Outsource your creative content needs to professionals on Craigslist, Elance, Fiverr, or other sites. 10. Your startup’s content strategy should be built around whatever it is you want your visitors to do once they arrive on your site, so be sure to optimize your website’s internal pages for conversions. Hootsuite - A social media tool that lets you manage all social media channels from a single dashboard. Mailchimp - An email marketing solution to help you manage contacts, send emails, and track results. Buzzsumo - Analyze what content performs best for any topic or competitor. First Site Guide - Free tutorials and tips to help you start your blog or website in less than 15 minutes. Sales and traction are what startups need to start bringing in revenue and are important metrics of success. How can you generate sales and traction without burning up too much money in the process? Below are 10 short tips that can help you to increase your sales and traction at a low cost. 11. Highlight the benefits and value of your product to your customers, instead of just showcasing the features. 12. Create a blog and develop a strong content marketing strategy to attract more potential users to your company’s website. 13. An effective email campaign targeted to your offering’s demographic can be very powerful in convincing your potential customers of the value of your offering. 14. Cold call potential customers in order to reach them quickly and get a response without spending much money. 15. You can also meet customers remotely instead of in person, as this will help you save on travel costs. 16. Contact all your early users and guide them through your product or service so that they become fans, and eventually become paying customers and evangelists. 17. Acquire a large number of early users who can provide positive testimonials for your product to help establish your company’s reputation. 18. Find partners, influencers, and other experts in the same industry that can help to promote your product. 19. Network with other industry professionals at startup events that potential customers go to and let others know about your offering. 20. Host contests on social media and provide your product as a reward, as this will help increase awareness and boost user engagement. SimilarWeb - A useful tool to help you analyze your competitors’ traffic and identify growth opportunities. Google Trends - Follow topics that are currently trending and discover the search trend for any keyword of your choice. SEMRush - Helps you identify the most shared content and key influencers in your market. Legal work can be cumbersome, especially when you’re trying to focus on the your core product. Being a founder also comes with a multitude of obligations that can be costly to outsource. Luckily, there are many legal resources for bootstrapping startups to bypass lawyers and keep costs low. Here are 10 solutions to help you avoid a legal nightmare while bootstrapping your startup. 21. Designate intellectual property to your company early on during the formation of your startup. 22. Protect and file intellectual property claims from others (patent trolls) with Patents, Copyrights and Trademarks. 23. To save costs of an attorney, file these documents yourself directly or employ one of several affordable legal online services, like LegalZoom. 24. Learn how to pay your employees. While this may be a no-brainer, too many founders neglect learning the difference between a 1099 or W2, which can lead to major problems later on. 25. Utilize an online Human Resources tool, like Zenefits, to simplify your startup’s various HR needs, like covering payments, benefits, health insurance, and more – all paper free. 26. Bookmark these resources NOW: Startup Company Lawyer and Nolo. These resources have everything you need to know about the legal side of launching a tech startup. 27. Choose the correct legal entity carefully to protect liability for your company. 28. If you plan on securing investment for your startup, incorporate in Delaware as a C corporation. Check out this Business Formation Guide by FormSwift for more details on incorporating your company. 30. Are you pressed for time? If you have available funds, employ a personalized startup lawyer website like LawTrades, UpCounsel, or PriorLegal. With limited funds, poor office space, lack of technology infrastructure, and no brand name, you just don’t have any negotiating or an attractive value proposition for potential team members. According to research by CB Insights, “23% of the bootstrapped startups shut down because they could not find the right team.” So as a founder it’s important to find strategic outlets that will provide you with qualified talent regardless of your company’s shortcomings. 31. Stop hiring people like yourself. Founders often hire employees like themselves so that they feel most comfortable instead of hiring for diversity. 32. Remember, you need people who are meticulous, detail-oriented and know how to create solid internal processes. Hire for traits, train for skills. 33. Only hiring people with graduate MBAs will lead to delays in product and brand building. Look for key skills in individuals that will complement your startup idea. 34. New founders will often hire friends which comes with both upsides and downsides. On the one hand, there’s a huge amount of loyalty. However, you could just end up with yes-men, so choose your team members wisely. 35. Find and develop relationships with mentors that are experts in your industry. Mentors who are knowledgeable in the startup process and your specific industry will be helpful in providing valuable feedback on building your team. 36. Employ your most helpful mentors as advisors to your startup team so that they will continue to provide honest feedback on your company’s progress. 37. Hire freelancers to help you get your startup off the ground, including developers for your website and content writers for your marketing materials. These professionals have flexible schedules and enable you to hire talent on an as-needed or project basis. 38. Set competitive pay rates. Compare industry standards against the specific skills and experience your startup requires to identify the best rates to pay your freelancers. 39. Open your search globally. Don’t limit your talent search to your local country or region, as leveraging international marketplaces significantly expands freelance prospects. 40. Offer flexible payment options. One of the biggest challenges international freelancers face is the logistics of getting paid. Cross-border payments can be very complex, so it’s important for you to work with a platform that offers flexible payment options. CoFoundersLab - Find a co-founder for your startup in any city and any industry. Elance - Find rated web developers, mobile programmers, designers, writers, translators, marketing pros, virtual assistants and more. Hired - Hired is a two-sided marketplace that connects talent with top tech companies. Naming and positioning your company can seem like a daunting task. A name will be the forefront of your company. Eventually it will become synonymous with your products, services, or brand. Along with this, you will have to position your company in order to differentiate your products or services from the rest. So how do you pick the right name and position yourself to stand out from the rest? 41. What makes your company different from your competitors? Create a list of what makes you different. This can help narrow your target market and understand the benefits your company offers that another does not. 42. What makes your product/service unique? Figure out what makes your company stand out so you can use it as an advantage. For example, Uber provided a unique app to modernize an old transportation concept. 43. What are your customers really buying from you? Besides the actual product/service, think about the other benefits a consumer receives. These are characteristics like quality, aesthetic, brand name etc. 44. Craft a positioning statement: In a couple of sentences, summarize what your company provides for your target demographic and what sets you apart, if not above, your competitors. 45. Create image-marketing materials that encapsulates what makes your offering so unique and valuable. 46. Use the positioning statement in written communication to your consumers to establish your startup as a leading company in your market. 47. Test your position statement on social media platform to see if you are attracting the right market and if the imagery that you are using is boosting user engagement. In “A Better Way to Name a Company”, we covered the top three characteristics you should aim for in creating a name include: memorable, spellable, and engaging. 48. Make your company’s name memorable. Users need to be able to remember the company name in order to share it with others. 49. Make your company’s name spellable. If users can’t spell your company name, they won’t be able to find it when searching for your products/services. 50. Make your company’s name engaging. Think about what your users will associate your company name towards? What feelings does company name evoke? Will they associate the name with the image of the company? Wordoid - Pick a short and catchy name for your business. Domainr - Fast, free, domain name search, short URLs. Hopefully this article provided you with the tools, knowledge, and motivation you need to successfully bootstrap your company. If you do decide to bootstrap your company, remember that you are not so much investing in your company, but investing in yourself for the sake of your company. Do you want more expert entrepreneurial advice? The Founder Institute is currently enrolling. Apply today!